As Lebanon’s Army General Joseph Aoun tweeted the commencement of operation “Fajr el Jouroud,” which translates to “the dawn of the mountains,” Lebanon’s Army has started its full blown assault at the remaining entities of ISIS that are still plaguing the mountain regions of Al-Qaa and Aarsal, on Lebanon’s Northeastern Border with Syria. I am confident that our army will be victorious. 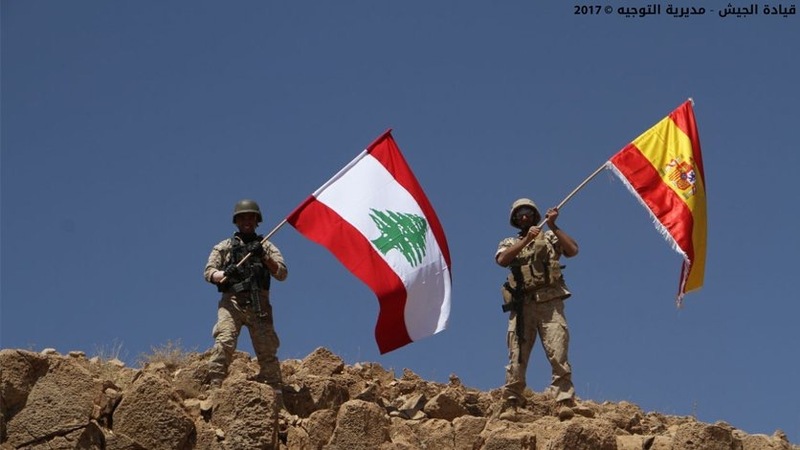 In only 24 hours, they’ve captured lands that were controlled by the terrorists and have planted their flag, as well as the Lebanese flag, on many hilltops that had been – up to that point – controlled by the cancerous entities that had tried to spread among Lebanese society without fruition. This assault at ISIS in order to push them back from where they came and secure our Northeastern Border is a moment of triumph for the country against everything that ISIS is and that it has done. Today, remember the Lebanese victims of Istanbul’s attack on New Year’s Eve. Remember the suicide attacks of Borj Al Barajneh that killed over forty people in 2015. Remember the many bombings against the Army in Arsal. Remember the suicide attacks in Qaa that killed 5 people. Remember the Jabal Mohsen attack in Tripoli. Remember every single victim in this country whose entire future was wiped away by these people whose entire cause revolves around making everyone else afraid of living. In the midst of this assault on ISIS, Lebanon’s Army didn’t forget that its sacrifices and struggles against the terrorists are not only restricted by the borders of the country it’s fighting in. In fighting ISIS, Lebanon’s Army is going international in the fight against ISIS, and this is exemplified by the above picture of an army solider planting the Spanish flag on top of a liberated hill along with the Lebanese flag. As such, this battle against ISIS in Lebanon is a triumph for the world too. It’s for the multi-national victims of those terrorist cowards in Spain. It’s for the victims of the attacks in Paris, Nice, Brussels, Berlin, Istanbul, and Egypt’s Copts. It’s a triumph for those people whose only “fault” was being of a certain country, at certain locations, of certain religions, of being people whose entire existence frightened those terrorists and their message. I hope Lebanon’s Army plants more of our flags on more hills as they fully liberate our lands from such pests. I hope Lebanon’s people stay united behind the army in such tough and dark times, as we try to move forward as a country towards more secure borders, in synchrony with how important such measures are for the entire world. Tensions in Lebanon are at an all-time high as political rhetoric against the refugees seems to have found its way to a union the like of which we haven’t seen before, bolstered by public support that’s near-unanimous, fueled by pro-Army rhetoric that’s become so intense it’s bordering on worrying. The Lebanese Army has been engaged in a courageous fight against ISIS militants who have embedded themselves in refugee camps in the Beqaai border town of Arsal. The details of the fight, which is still ongoing, have become known for most. The gist of which, however, is that despite Lebanon’s army advancing against the militants, some transgressions against civilian refugees have taken place, with some of them dying during captivity prompting questions of torture. As it is in Lebanon, of course, even mildly thinking about criticizing our army’s practices, or wanting an investigation to take place in the death of those civilians, is equal to high treason. It seems that everyone is supposed to accept that the army does what the army wants, without any repercussions. Except that that is how dictatorships are made, and last time I checked the country was not as such. The moment we start compromising on basic human rights, regardless to whom those rights belong, we are beginning to give a blank check to authorities to extend the same treatment to us at a later point in time. What’s to stop Lebanon’s armed forces, army or otherwise, from – eventually – doing the same to Lebanese citizens who may or may not be suspects in something that people are unanimous in opposing? The army is not to be above reproach or criticism. The more we put our army or our security forces on pedestals, the more we’re giving them way to break our necks, and whatever they want, just because we’ve let them. It’s a slippery slope between being thankful to being blindly adoring and, consequently, approving of anything and everything someone with a military title does. Yes, it’s beautiful to be thankful for their efforts and sacrifices in fighting for our safety. But that doesn’t make them holy. And it doesn’t make the mere possibility of civilians, regardless of nationality, being killed under torture or suspicious conditions okay. Naturally, and because trolls on Facebook are quite rare to find, a pro-Syrian refugee and anti-Lebanese army page sprung up on Facebook. It was started by a 24 year old Syrian residing in Ain El Helwe who was just arrested for enticing violence and hatred against the Lebanese Army. That Facebook page soon became the medium through which many Syrians, and some Lebanese I dare say, expressed their undying hate to Lebanon, its people and its army. The reply to that was in a surge of anti-refugee rhetoric, with a political discourse that’s unanimous in wanting to send all the refugees to Syria’s safe spaces. The culmination of the social media wars translated through calls for two protests: one pro-refugees, organized by a Lebanese socialist club, which was later branded as anti-Army, prompting hundreds of Lebanese to change their Facebook pictures ones with army support frames, and calling for a protest to oppose the previous one. Naturally, our Ministry of Interior affairs banned all protests as a result. Keep in mind that parliament is planning a tax hike coming later in the week, and banning all protests in the country under the guise of “security” is a mere ploy to silence people against such governmental steps in taking away more of our money, stripping us of our constitutionally given right of expression and making sure they create the illusion that the country is in turmoil. It seems odd that, after more than 6 years of the Syrian War, today is the time that all of our politicians seem united in the way they want to deal with the Syrian refugees. Add that to the list of massive short-sightedness that’s become synonymous with the way they handle things. We’re a tiny country, that’s 1/10 the size of Syria with about 1/5 of the population. And yet, over the course of the past 6 years, we’ve received about two million refugees, the impact of which over the country could not be brushed under the rug. We have no functioning infrastructure, no social structure to support them and – simply – no decent means to support them. Our borders, however, remained open. We had next to no regulation of the influx, near non-existent regulation of the border. The problems at hand could have been prevented had we been slightly more aware of the impact of suddenly adding two million people to your population, which feels like quite the normal realization to get to. Unless you’re a Lebanese politician of course. Not all refugees are bad people, however, and using some of them to put the entirety of them in the same box in non-sensical. The majority of Syrian refugees in the country don’t agree with the posts of Facebook page that’s causing all the outrage against them. The majority just want to live and let live, make ends meet, provide for their families and count the days until they can return home – their actual home, not safe spaces inside what was once their country. And yes, many are thankful for being given homes in our country, the same way you’ve been demanding them to be grateful as if our government has provided anything for them other than allowing them to build tents in fields no one uses. What’s mind numbing is the hypocrisy of it all. Picture this: you, as a Lebanese, being labeled as a terrorist because one Lebanese was involved in the 9/11 attacks. Or you as a Lebanese being targeted systematically by police in countries you’re an immigrant in because some segments of your country’s nationals are drug dealers or criminals. Imagine Lebanese Australians or Lebanese in Dearborn, Michigan being cracked down on by authorities in the United States or Australia for reasons as silly as them being “guilty” by virtue of them having Lebanese in ethnicity. Wouldn’t you be outraged? Wouldn’t you be up in a fit, cry racism and xenophobia? Today you’re left with a country where manifestations of free speech are banned, where people do not allow you to even think about criticizing the army, where sympathizing with refugees is beginning to get closer to becoming treason, where our politicians are literally using those refugees to fuel hate and fear in order for them to pass all of the agendas they want, under the radar, in plain sight of everyone. The safety of Lebanese and the dignity of Syrian refugees are not two mutually exclusive entities. We have been led to believe they are by politicians who are using us in order for them to be allowed to do whatever they want, whenever they want, and put it under the guise of the country’s best interest. A banana republic? It’s time to find a new fruit. Everyone needs to sit back, take a deep breath, stop jumping to conclusions every thirty two seconds and realize that this path is exactly where they want you to be. I get it if it’s Mother’s Day, or Father’s Day, Christmas, Easter, Valentine’s Day or any other day that has become, over the years, synonymous with commercialism and ways for advertisers all around the world to sell their products. I get that 2016 has been proving a tough year so far. Our economy is going downhill, if that’s even possible. Inflation is going up. Roadster diner changed its menu. It’s a tough year out there to be Lebanese. And it just got tougher to swallow. The horrors of 2016 continue today with Lebanon’s Army Day, celebrated every year on August 1st, becoming our new Mother’s and Father’s and Valentine’s Day. For lack of other words, bel lebnene: 7alabneha. Awesome, right? Except that picture is of an Israeli soldier. You’d think that such a mistake would not occur on Army Day, out of all days, let alone on any other regular day. You’d think a campaign such as this would go through several people before surfacing online, but guess again I suppose. After posting the above screenshot on my blog’s Facebook page, Virgin were quick to take down the post and decide that pointing out the fact they were using Lebanon’s only enemy country to “give respect” to our army was us leading a “campaign” against them. I’ve begun to realize that this is the Lebanese way for companies to deal with backlash: it’s always a campaign, and they’ve never actually fucked up. Even if it’s a picture of an Israeli soldier. And if you thought this was the end of it, you thought wrong. Because this is the country of “la joie de vivre” and this is summer, and as we all know, you can swim and ski in the same day w hek, a Lebanese overpriced resort decided to flaunt its army love in the only way it knows how, other than parading its own overcrowded facilities of course: half-naked bodies dancing in a pool to a semi-remixed version of the Lebanese National Anthem. Many may not see anything wrong with such a display, but I find it hard to find swimsuit-sporting half-intoxicated bodies prancing to your country’s national anthem as anything remotely approaching paying respect for your country or your army. 2016 will officially go down as the year when Lebanon commercialized its Army Day. It was probably a long time coming, but we’re officially there. I wouldn’t be channeling my inner Layla Abdul Latif much if I predicted next year to be worse, with more ads, more products that want to be sold, more people paying money to sell their products than actually contributing to the army in the ways that it can benefit from, all to the backdrop of a country so buried in the sand that Army Day passes by every year without us having a proper discussion about it. You see, would ad agencies find Army Day to be such an enticing opportunity hadn’t we, as Lebanese, put the army on a pedestal beyond reproach? See you next year. And happy Army Day. 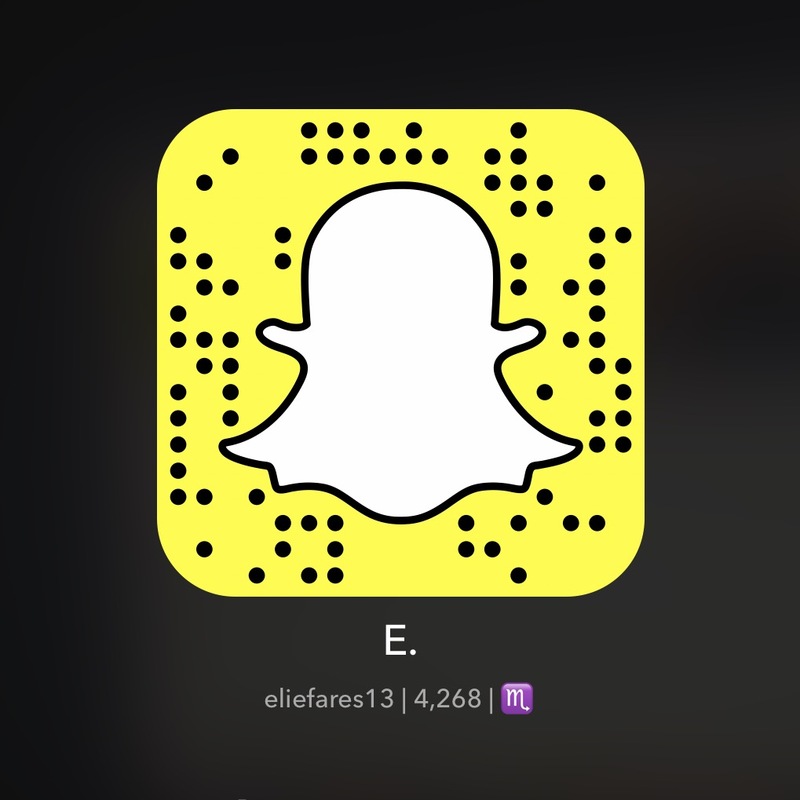 Ba3d fi Exotica ma 3emlet di3aye. A lot of the Lebanese populace will be spending this weekend either skiing their days away at resorts or clubbing the nights at various parties across the country, or, ironically, watching the “heroics” of an “American Sniper” at our cinemas. As that “joie de vivre” manifests, however, the country will be burying 8 soldiers that passed away yesterday defending everyone against a looming threat at our borders, and whose heroics will fail to register with most. Why did those 8 army soldiers die? Well, for one reason it’s because they live in a country led by so-called leaders who aren’t up to their title as they fail every single moment they “lead” to make the much-needed decisions that such times require. Today, Lebanon is in an official state of mourning. No, it’s not mourning any of these 8 heroes who gave up their lives, not thinking of their families, of their children and of their wives, to defend us. Nope – the country is mourning a Saudi King whose country has worked tirelessly over the past few years to make sure the terrorists who killed our army soldiers are well-armed and ready to fight. Because those soldiers live in a country that won’t remember them after the weekend has passed and where their names and faces would always remain unknown, I figured the best way to honor them is to make sure their face and their name are there for all of us to see. Ahmad Tbeikh. He was 28 years old. He’s from Dores, Baalbak. Ahmad is married, without children. Mohammad Nasreddine. He was 31 years old, from Kouweikh, Hermel. Mohammad is married and has one child. Bilal Ahmad. He was 28 years old, from Shan, Akkar. He is married and has one child. Mohammad Alaeddine. He was 19 years old from Jdeidet Marjeaayon. Hassan Dib. He was 22 years old from Tekrit, Akkar. Ahmad Dana. He was 26 years old from Saadnayel, Zahle. Hassan Wehbe. He was 23 years old from Nebha, Baalbak. Mojtaba Amhaz. He was 22 years old from Meqna, Baalbak. I often hear that it is the job of the Lebanese Army to defend us at all costs, but that doesn’t mean those “costs” should be without recognition. Those army members who sacrifice everything in order to maintain the republic should have their sacrifices honored. Our government may not think the fallen soldiers of a battle deserve to have the country’s flags lowered for a couple of days, but these 8 people have an entire population lowering their heads to salute them. It’d be interesting to see if there are many other non-military countries that have their armed forces spend so much money on self-indulging propaganda. I don’t get what’s the point of an army telling itself that the people of its country love it. 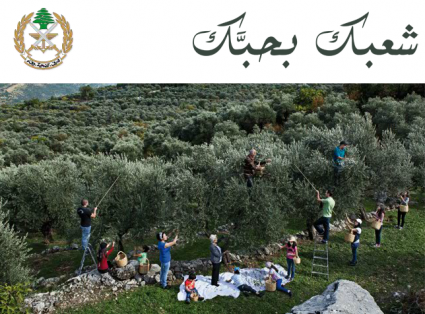 I also didn’t know olive picking was part of an army man’s job description. In fact, isn’t it odd that our army would dispense people to go get their Kodak moment on when the country is on the precipice of collapse and while Tripoli burned? Sounds like a grave misuse of resources if you ask me. In the general scheme of things, I will never get why our army and internal security forces feel the need to fill our roads with posters to celebrate their anniversary, to celebrate their importance in keeping our independence come November 22nd or to celebrate anything that they feel should be celebrated. I will never get the messages these billboards are trying to pass on. Are they trying to remind us that there are armed forces we should love? I daresay a billboard will not induce any affection in me. Are they trying to bring people together by rallying behind a common cause? I daresay that’s not working at all. Or is this just another manifestation of a country that loves appearances with our armed forces being unable to separate themselves from the need to show off? Instead of buying themselves weapons, instilling new training programs or simply making their entire workforce efficient our armed forces use our tax money and whatever donations they get in order to fill our highway with billboards whenever the occasion arises. And in my opinion, that’s just sad. There’s nothing like a Lebanese wasta. Sure other countries have “connections” but we have perfected the art of getting places by virtue of who we know. This won’t be long so sit back and read. Rami and Fadi are both fresh high school graduates who both got over the required grade limit to apply to the Lebanese army and become officers. Rami and Fadi both presented to the psychological evaluation part of the grueling entrance exams. Rami passed. Fadi failed. Rami continued his examination process while Fadi stayed home, his hopes of entry gone down the drain. But behold. Fadi’s relative knows someone who’s ranked high up in the army. Two week after his failure in the psychological exam, Fadi got a phone call to go back and sit for the tests. He failed his medical test due to a deviated septum. It didn’t matter anyway, he was let through to the next phase. Rami was still passing anyway. Fadi then had to sit for the written exams required to assess high school knowledge. He got to the examination center without the required ID. As everyone else entered, he sat outside trying to reason with the officers in question but to no avail. 15 minutes passed as other applicants tackled their exams. A couple of phone calls later, he was inside, sitting in the back of the room with the officer observing the exam’s proceedings feeding him the required answers. Both Rami and Fadi passed those written exams and advanced to the last stage – the personal interview required to get whoever decides to make their choice regarding the 200 or so people who will get all the perks that being a Lebanese officer entails. A few days later, the news of who was accepted surfaced. Rami – who had passed his exams without the need for outside help – was thrown out. Fadi, who hadn’t passed an exam on his own merits was in. His family celebrated. They threw extravagant luncheons to celebrate the triumph of their son. They bragged about his merits, not knowing that everyone knew the story behind how he got in. A few years from now, Fadi will become one of those men who – despite not being qualified in the least – can walk all over you. The above story is 100% correct, apart from the names that have been altered. Does it matter? Perhaps not. It’s sad though that all the people who are qualified in this country get lost in the shuffle of the lessers who are more connected. I used to think a Lebanese Wasta was the worst thing ever but with each passing day, I’m being forced to reconsider because it seems to be the only way to get a job, to get ahead and to make a life for yourself. It’s either a wasta or the system shatters you. They say a picture is worth a 1000 words. How about a video? And the man was unarmed. This is the other side of the Fadel Shaker video in which he, disgusting as he is, was proud of killing two army men. This is to those who believe the Lebanese army should be beyond reproach, beyond questioning, beyond any form of accountability. This is to those who believe Lebanon should become a military state because military rule is what we need. There’s nothing that can justify the behavior in the above video. Absolutely nothing. There is a minimum of human rights that are guaranteed to every human being, whether that person was actually fighting with Al Assir or not and by the looks of it, the person in this video was not. What’s next? Army men coming after us because they don’t agree with our brand of politics? Because we are not the people who immediately change their profile pictures and “like” the countless army support pages to express gratitude? Will the officer and his subordinates in the above video be held accountable? Obviously not because even basic human rights are a matter of relativity in this country. There are many who believe the man they were busy stomping on shouldn’t get any. The above behavior is expected from the likes of terrorists without morals and code such as Fadel Shaker and Ahmad el Assir. But is it acceptable to be emanating from a respectable institution tasked with protecting all of Lebanon’s population in similar ways? Human Rights Watch published a 60 pages report on the behavior of Lebanon’s armed forces. Add this to the growing list of disgusting behavior that’s documented. We will never know what really happened Sunday with that filth of an existence called Ahmad el Assir. The tough questions that have to be answered cannot be asked. Not that it matters anyway – all will be forgotten in a day or two. One thing to say though is this: tfeh. Update: the army men in the above video have been arrested.